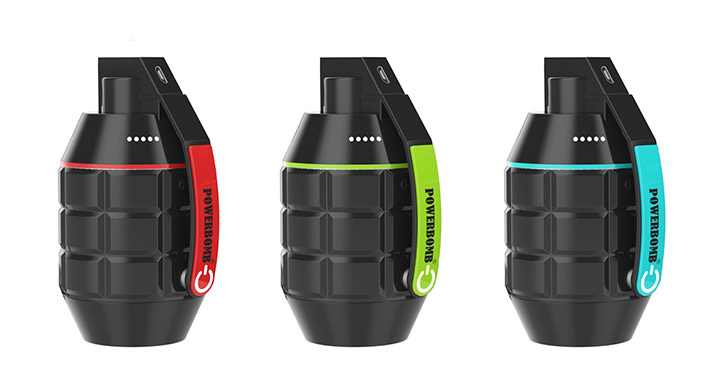 Hand Grenade or a Power Bank? 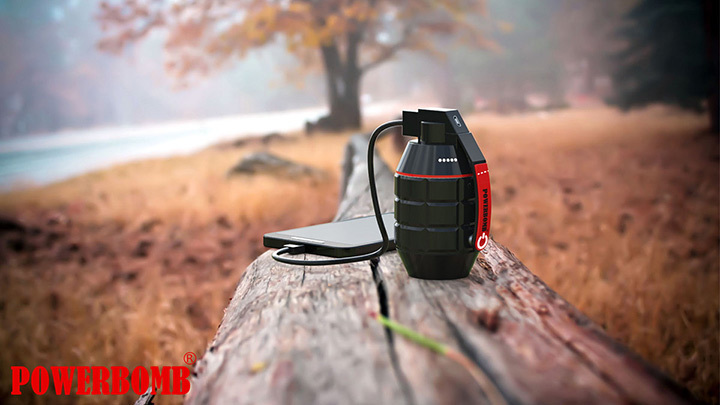 Showcased on Rahul Shirbhate 's Behance account, a talented industrial designer from India. 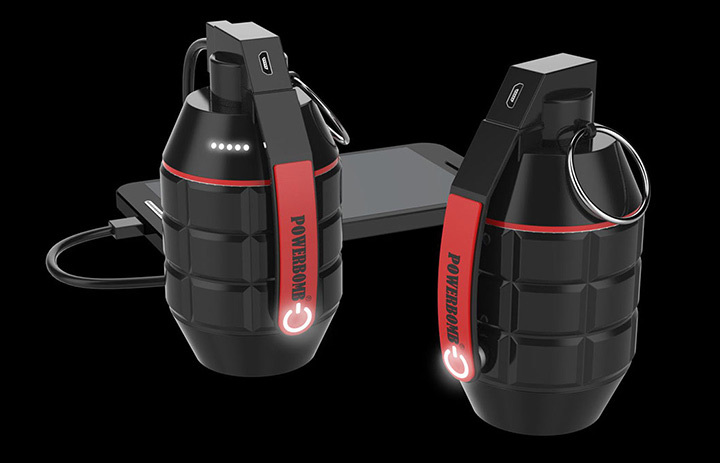 The Powerbomb, is a pretty cool conceptual portable charger. 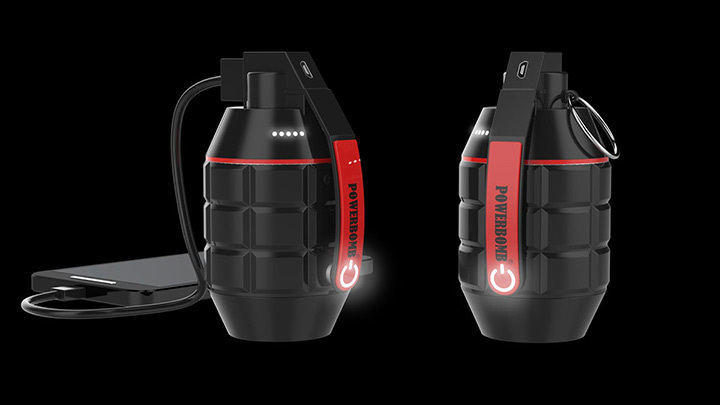 Its shaped as a life-size modern grenade that can be launched by hand. The exquisite detailing and accurate contour make it look more realistic. 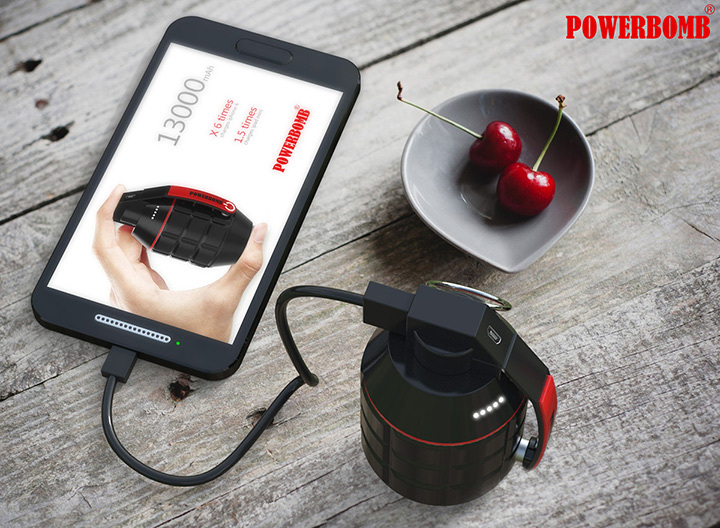 It has a capacity of 1300 mAh, which will charge your smartphones, tablets, digital cameras multiple times effectively.The Ring key is attached to it like a real grenade, so you can simply hold it in one finger while keeping the phone in your palm while charging. 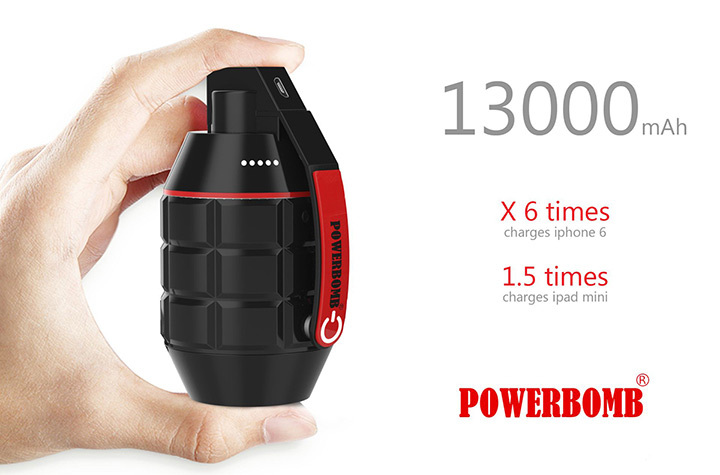 Cleverly designed, The Powerbomb has indicator lights to show you the level of battery charge left in it. 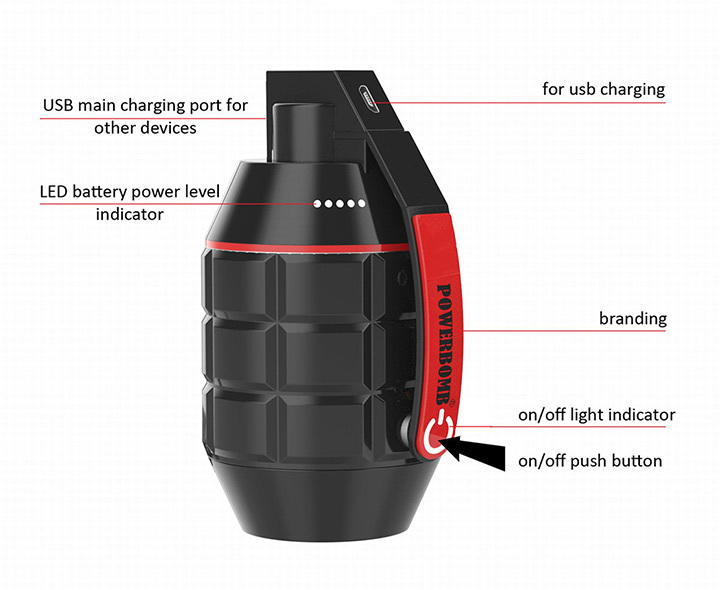 you can charge it via a USB. 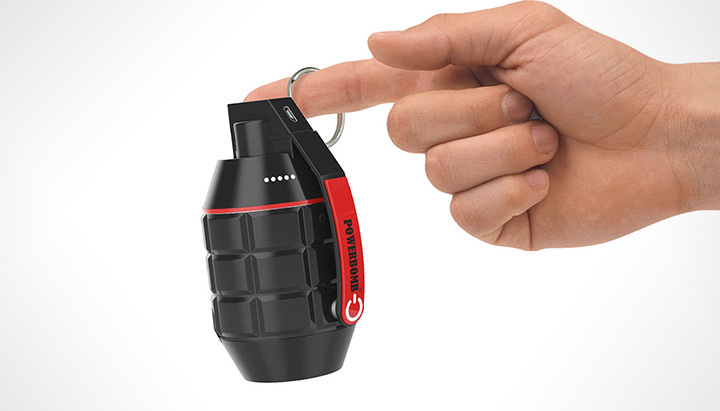 The on/off button is located on the safety lever.